Laura Lang has a proven and powerful track record as a media change agent. As CEO of Digitas, she helped uber-marketers like Procter & Gamble and American Express move smartly into digital advertising. And she is conversant and fluid with new publishing platforms – and knows how to make them profitable. Now, she’s been asked to lead Time Inc., and its 21 venerable titles, which include Time, People and Sports Illustrated. Time Inc. has absolutely amazing brands with outstanding reputation, heritage, editorial staff, and customer bases; but, at the same time, the business model of magazines is structurally breaking. What an interesting – and tantalizing – choice. And you can’t be a media leader today, unless you’re willing to innovate on the business model itself. Which is why Laura seems so promising. I love the idea that at Time Inc. she’ll be able to innovate in core product, just like she did at Digitas. I also love the notion that she’ll aggressively develop new products for advertisers. What will be new to her is the actual business of publishing – a business where Time Inc. stands stronger than almost any other player. The central question for me is whether Time Inc. is ready for the change that a leader like Laura will want to (and need to) bring. Indeed, Time Inc. has fundamental open questions to address when it comes to its own relevance in the digital world. While the powerful brand of Time magazine has set the American agenda for decades, Time.com has wandered. In the past, Fortune magazine always spoke to the most important business issues and people; but today, its online brand is less clear, with basic confusion even in its home-page address (http://money.cnn.com/magazines/fortune/). This simply muddles Fortune, Money, and CNN. To be as successful in the next century as it’s been in the past, Time Inc. will have to adapt more fully to the digital world. That means developing new business models, as well as new attitudes toward consumers, advertisers, and the product itself. It will also require a healthy reinvigoration of key brands, an area where I think Laura may especially shine. All of this will take nuance, to bend things without breaking them. I’ll end the year on an optimistic note, and say that I hope Laura can finesse major innovation for this major publisher. If she can, watch out world – because very interesting and far-reaching things will happen. I worked at Time Inc back in the early ’90’s when they were trying to forge an internet policy, and it’s sad, but true, that they didn’t understand the disruption taking place. There were people in the company who understood the change that was coming, but the exec team refused to see it. 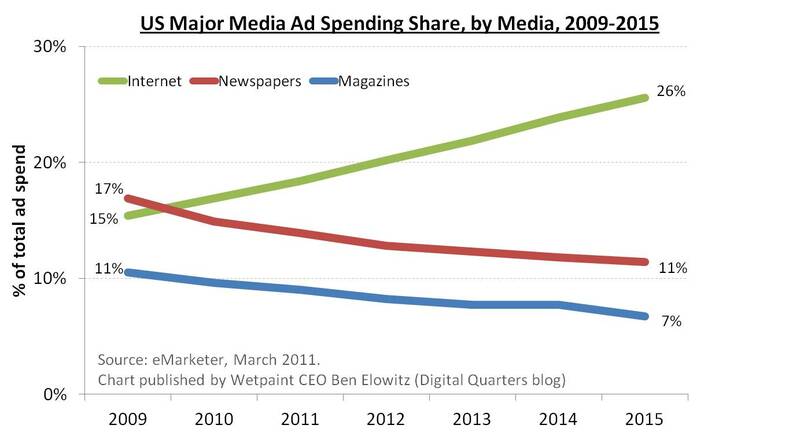 They were obviously not the only print publishers to ignore that disruption, but they were a standard bearer for it. It’s always hard to play catch up, but they do have tremendous brand equity and superlative content so if Lang is smart, there is a way to succeed. And as you say, she has strong headwinds and choppy seas to sail through in navigating the risky territory of alienation vs innovation. I often think of the venerable Time Inc as a QE2 that moves slow and steady, but is hard to turn around quickly. She’ll need time to turn it around, so I hope they give her the time to make those directional changes without toppling the boat.